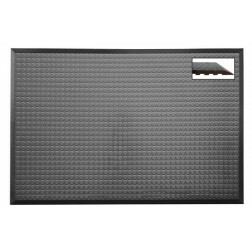 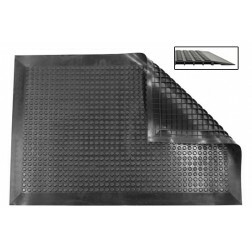 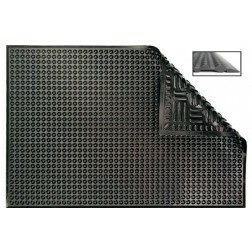 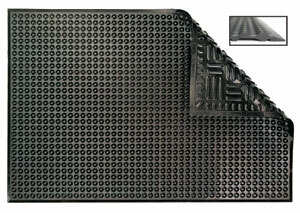 Cleanroom anti-fatigue mats by Ergomat. This ergonomic floor mat is designed to ease the strain of standing on a hard surface for a long period of time and reduces the fatigue that causes poor blood circulation. 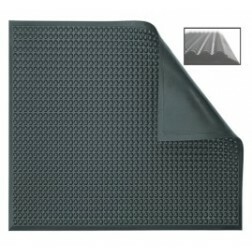 Keep your cleanroom operators comfortable for longer periods by employing a cleanroom anti-fatigue mat. 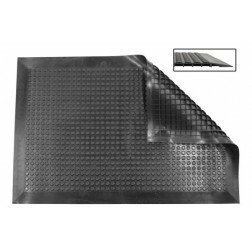 Mats are used to prevent slips, trips, and falls that can cause sprains, strains, and even fatalities – protecting workers, minimizing time lost and worker compensation costs.